This weekend, we went Passover food shopping. One of our stops was the Honest Weight Food Co-op since they had a Passover bulk nut/dried fruit sale. We bought some almonds and cashews for next week. Then, on the way out – something caught my eye. In the prepared food area they had sandwiches. Within a few seconds, we were both almost drooling at the food in front of us. 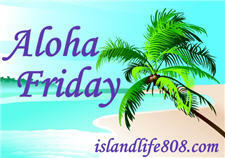 My Aloha Friday question is inspired by the delicious experience we had this weekend. If you could have any sandwich for your next lunch, what would you pick and why? It could be one that you make yourself, or buy at a store or restaurant. I haven’t had a Pastrami in awhile so, I’d choose a Pastrami sandwich from Langer’s Deli. I am pretty simple and really do not like sandwiches aside from PB & J or Grilled Cheese ones,lol. One of my favorite sandwiches is from McAlister’s Deli, it’s the Orange Cranberry Turkey Club. I’ve been there to have it twice in the last two weeks. Egg salad with lettuce on white bread. I’d love a BLT with turkey bacon. Or an egg salad sandwich with a black olive on top. MMM. I love Johnny Rockets egg salad sandwiches. I would have to either choose a french dip sub, or my Frontega Chicken Panini from Panera! Denise´s last blog post ..Meme Friday 30!! Actually, I’m not a big bread eater so a simple PBJ with my kids would make me happy. I would want a ruben with no dressing from Too Jay’s restaurant. The rye bread is perfect and I have a soft spot for swiss cheese! Yum! JamericanSpice´s last blog post ..I Like Your Ride – Aloha! That looks like a ginormous (and yummy) sandwich!